Hey everyone! Well, we’re back to movies again in time for the new offering from Marvel. As I said in my Sabaton concert review, we needed a break so we didn’t go to Guardians of the Galaxy Vol. 2 opening weekend, but we’ve seen it now so let’s talk about it. As usual, things are spoiler-free! Let’s get to it! Now, I didn’t end up taking many notes, and my other half’s notes got lost somewhere between the theater and home during our running around. So I’m going to do this by doing this point-by-point of the things I want to mention. Apologies if some of these are vague. -More character development than explosions. This is one thing I really noticed about this movie. It doesn’t do the usual sequel schtick of ‘bigger, louder, more explodey’. It instead focusses and fleshes out the characters instead and continues their stories from the first movie and how they are now functioning as this group. So when things start happening in the course of the film, you feel a lot closer to the characters and like you know them more deeply than before. I really liked that. -Drax and Mantis. These two are absolute gold whenever they are together on screen. Dave Bautista’s Drax once again steals every scene he’s in and he’s just so wonderful in his absolute literalness. Mantis is a really neat character and a very interesting addition to the cast. And again, the best chemistry. -Cast. Everyone in the cast is just as good as they were in the first film. I don’t really know what else to say about it. -Kurt Russell- I really can’t say anything here without spoilers. I really enjoyed his character and what happened with him. He and Chris Pratt had some great moments together. You do get some expository scenes from him, but I didn’t find that to be a detriment because it worked with the story. -Sylvester Stallone- okay, he’s not in the movie that much, but I’d like to see more of his character. I’m sure he’ll show up again, and I’d kind of like to know more about him and the culture of the people he’s part of because you get just enough for me to be intrigued. -Better finale. If anyone was underwhelmed with the confrontation with Ronan the Accuser in the first film, you’ll find the finale much better this time. It was big but it had a lot of emotional weight. This was no mindless action sequence, it really brought together the threads of what had been happening through the whole film. -Better villain. I thought the Big Bad was great and a lot better than a lot of Marvel villains. There were other antagonists, and they were interesting in the sense I wanted to know more about them or that there were some neat ideas with them. But when it comes to the villain of the piece, I dug it. -Yondu. 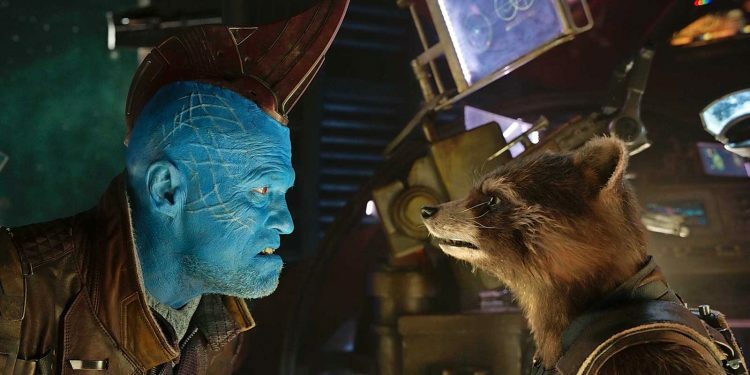 Michael Rooker is back again and Yondu is one of the characters that we really get into. He has a fantastic arc that really gets you deep into him in a way we didn’t get in the first film. He has some great scenes with both Rocket and StarLord that really elevate both him and the film as a whole. -More emotional heft. As I said above, you get a lot more moments and insights into the characters this time around. It really makes for a heavier emotional punch when things start happening. You’re so in there with those characters that you really feel those emotions with them. It may look like a big, bright, fun superhero movie (and it is), but it’s got serious feels. Excellently done. -Soundtrack. Let me tell you, Mama Quill had a damn fine taste in music. Awesome Mix Vol. 2 is just that, and the songs are excellently used in the film. Of particular note is the use of Fleetwood Mac’s ‘The Chain’ which is just amazing. 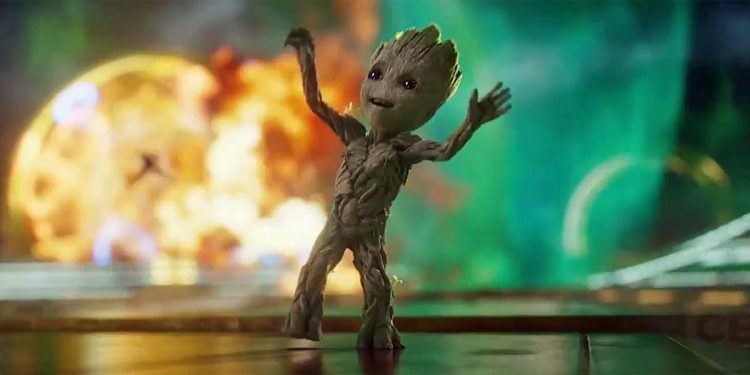 -Baby Groot. He’s super cute. But not overdone. -Visuals. The visuals look fantastic, I’d be lying if I said they didn’t. It’s not like Marvel is going to put out a bunch of crap effects for this. Guardians lets you do things a bit brighter and weirder too, so there’s a lot of playing with that rather than the more ‘down-to-earth’ stuff you get from some of the other films. One location in particular is just so stunning and so incredibly colorful and elaborate and you just want to pause the film and look at all the details. The only times things got really hard to follow on screen were during a crash sequence when things got pretty frenetic. Otherwise, it looked great, which is what we expect at this point. So there it is, what I felt were the most salient points for Guardians of the Galaxy Vol. 2. Overall, a fun ride with a lot of heart, even moreso than the first film. Definitely a good time and enjoyable for everyone. This entry was posted in Movies and TV and tagged 2017, movie review, movies. Bookmark the permalink. Despite seeing it 2 times, at different moments, I’m not a big fan of the first movie, in that I don’t get it. 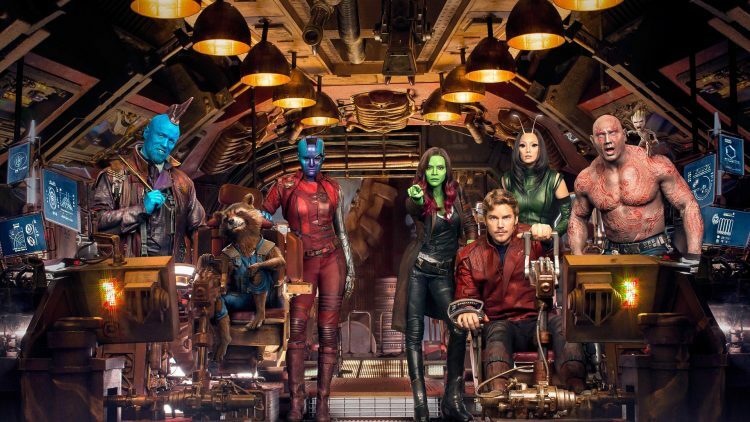 It’s okay, sure, I’ve got nothing against it, I just don’t understand why people love it so much and think it’s one, if not the one, best MCU movie. I loved guardians 2 a lot more, both in the fun and sad times, for all the reasons you’ve underlined. I’ll remember it a lot longer than GOTG 1. 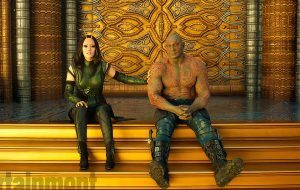 And really, Drax and Mantis are the best. I wanted to see GOTG Vol. 2 but my brother is the biggest spoiler in the known universe. The guy has no filter. Plus, I am still so far behind in the MCU that I will probably miss a lot of Easter eggs. 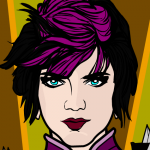 @Arioch: I love the first GOTG because it is so original. Being an underdog / lesser-known title set expectations lower than the other MCU franchises. Plus, the soundtracks to both movies are all killer no filler. I don’t know how much comics history you are aware of Melmo, but the lineup we see a the end with Stalone is pretty much the original team. With that one missing member. I don’t think it is. I’m going to leave it 🙂 And I didn’t really know anything about the Guardians before the films. Comics-wise, I was big into Spider-Man and some X-Men. When they announced a space-themed team the only one I could think of was the Starjammers lol. The first one I think just surprised a lot of people, and it was fun and different. But different strokes for different folks and all that. I wanted to see GOTG Vol. 2 but my brother is the biggest spoiler in the known universe.The guy has no filter.Plus, I am still so far behind in the MCU that I will probably miss a lot of Easter eggs. Plus, the soundtracks to both movies are all killer no filler. There aren’t too many ties to the rest of the MCU, as of yet. Guardians is still pretty self-contained at this point, there isn’t a lot of interaction with anything else that’s going on. You’d probably be fine as far as easter eggs go. Yes! Those soundtracks are amazing!